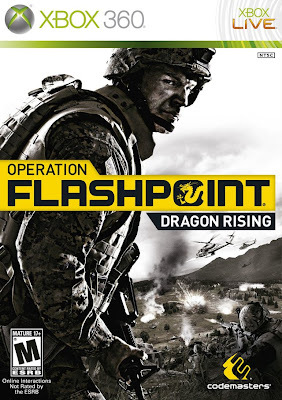 In this installment of JoeyVan reviews games, I will review Operation Flashpoint: Dragon Rising for the 360. 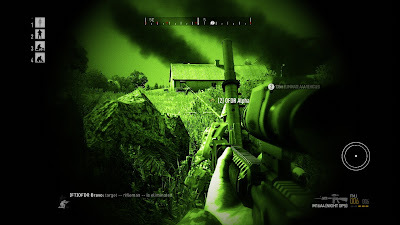 Dragon Rising is a first person shooter/military strategy game that, in my video game experience, is very realistic, maybe even a little too realistic. 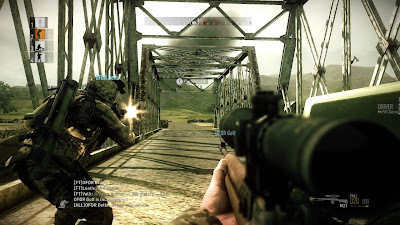 The game takes place on an island that is being fought over by the Russian and Chinese armies in the not too distant future. Well, who do you fight for, Russia or China? Neither, as you as the good ole’ U S of A, bailing out Russia before they get slapped around by China. As mentioned earlier, the realistic focus on this title is definitely not subtle, from the kickback of the gun to the way the soldier runs. This feature can also be just as much of a short coming to the casual gamer, especially when shot, even once, you must have a medic take care of you quickly or you will bleed out and die. Since you are acting as the squad leader, you can choose the actions of the other squad members and have them do most of your killing, which is what I did to prevent bleeding out when things got hairy. Probably the most interesting part of the game, is that it is unscripted and very spontaneous. An example of this would be that if and when you die and have to restart the mission, you won’t be going through the same sequence as before, keeping you on your toes and preventing memorizing and mastering missions. Once you get the hang of the gameplay, you find how fun being a futuristic (not THAT futuristic) squad leader can be. 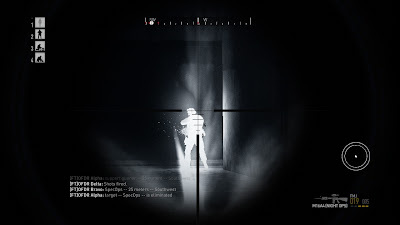 I give this title an 8 out of 10, as this is a must have for any fan of military style first person shooters like Rainbow Six, Ghost Recon, and Call of Duty. 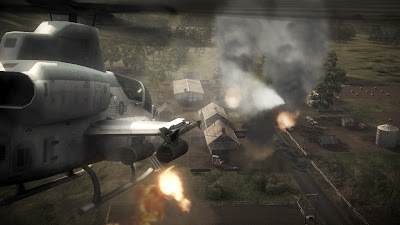 Operation Flashpoint: Dragon Rising is available now for the Playstation 3, XBox 360, and PC.